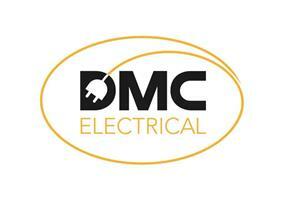 DMC Electrical Contractors Limited - Electrician based in Brighton, East Sussex. We are a Brighton based firm of electricians with over 20 years of electrical experience. We provide prompt, affordable and reliable electrical services throughout the South Coast. We are fully qualified and accredited NICEIC contractors - this means that we have been assessed as having the technical capability to carry out electrical work in accordance with the requirements of BS7671, and that we are registered as Approved Contractors and Domestic Installers. Our fully comprehensive service covers all aspects of electrical installations, both domestic and commercial. You will always receive the same excellent service, no matter how big or small the job. Why choose us? In today's competitive market, we understand the importance of providing a service that is efficient, reliable and represents value for money. We pride ourselves on our customer focused approach and excellent workmanship. We are trustworthy experts within our field, with a strong focus on excellent and reliable service delivery. We offer a comprehensive, free of charge and without obligation electrical estimation service, providing you with an evaluation of what needs doing and how much it will cost. Brighton, Hove, Haywards Heath, Hassocks, Lewes, East Sussex, Crawley, East Bourne, Croydon, London.